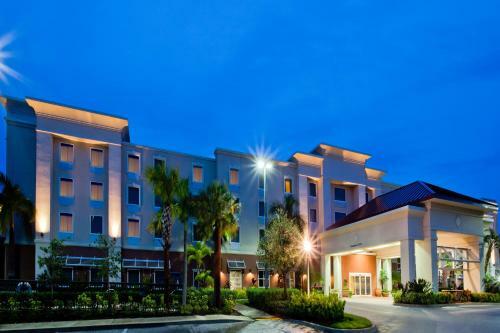 This Stuart, Florida Hampton Inn is located near the Northwest Federal Highway. It has an on-site convenience store and serves a buffet breakfast every morning. Rooms at Hampton Inn & Suites Stuart-North are furnished with work desks, microwaves, and refrigerators. They include free Wi-Fi and cable TV. 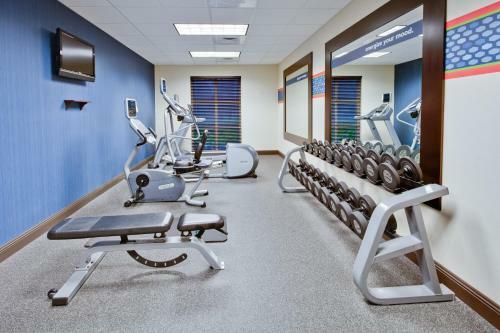 Work out in the hotel’s fitness center, or swim in the outdoor pool. The business center has printing, faxing, and photocopying services. Dry cleaning, laundry and an ironing service are also available at this pet-friendly hotel. Downtown Stuart, home to many shops and restaurants, is less than a mile from Hampton Inn & Suites Stuart-North. St. Lucie Inlet Preserve has 2 miles of sandy beach and is 15 minutes away. 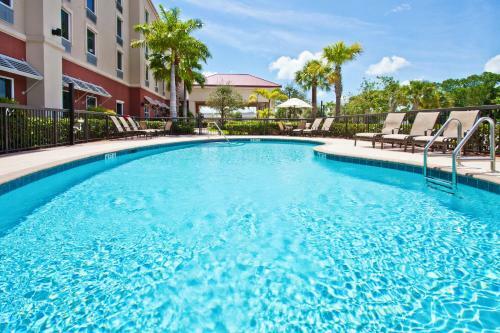 the hotel Hampton Inn & Suites Stuart-North so we can give you detailed rates for the rooms in the desired period.